The CHASE Awards (Care Home Achievement Success Event), an annual awards ceremony for care homes, was set up to recognise care home achievements and our staff at Westwood received 2 awards and 3 medals. 1st award is for Lifetime Achievement for Care Team Manager, Jane Gamble. 2nd award is for 0% Acquired Pressure Sore in Care Homes awarded to Westwood. Three Link Champions for Tissue Viability received medals for their 5 year service. 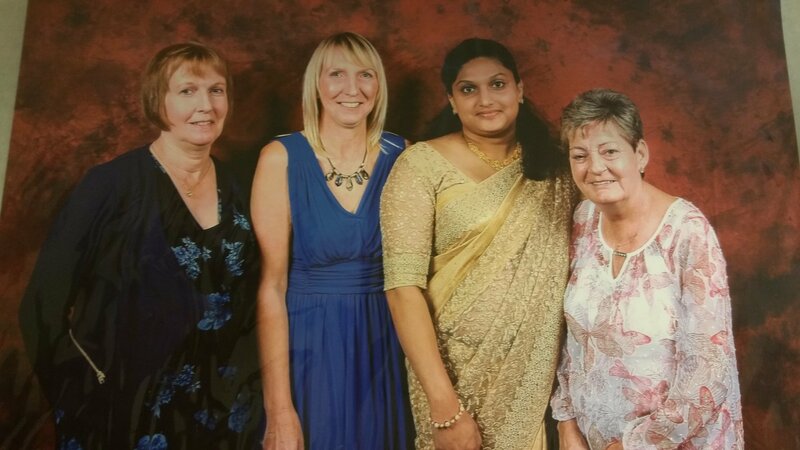 Pictured below from left: Claire Carlow, Care Team Manager, Link Champion for Tissue Viability; Liz Keywood, Activity Coordinator, shortlisted for Unsung Hero category; Jimitha Jacob, Home Manager, shortlisted for Manager of the Year; Pat Smith, Care Team Manager and Link Champion. Well done Jimitha and all the team at Westwood.